For Corporate Photography Services & Video Production, it is worth considering the 5 points below to ensure you get exactly what you are after. Over the years, we’ve helped clients of all sizes get to grips with studio hire and have come up with this handy list of tips to help get you started. If you have all your own equipment, photographer and/or videographer, then you will just need a great studio space that ticks every box. This is known as ‘dry hire’ as you only book the studio space and will then be responsible for organising everything else yourself. Over the years, we’ve found that our customers often want a bit more help on the day of the shoot. It’s why we can arrange for an assistant to help out; hire out a wide range of equipment, including everything from Flash or HMI lighting, to Canon and RED digital cinema cameras. We can also provide a photographer or videographer. In fact, we can even arrange for photos and video to be taken at the same time, saving you both time and money. And if you fancy a completely pressure free day, then just leave everything up to us. As well as taking photos/video, we can organise models, source props, carry out any post-production with our experienced team of retouchers and editors. Studios come in all shapes and sizes, so it’s important you select one that works for you. You really don’t want to hire a studio the size of a football pitch, if you’re just taking some product shots of shampoo. Think about your subject matter and what you want to achieve. We offer a 1,600ft shooting area, which is ideal for all types of corporate photography, product photography, promotional videos and advertising shoots. And don’t forget you might have the right studio on your own doorstep. Your own workplace is sometimes perfect for those business in action shots, or you may have found another location you want to use. We are always more than happy to come to you, so please get in touch in you are looking to arrange a location shoot. Always make sure any photography studio hire comes with the right equipment, so you can achieve the effects you’re after. For example, if you’re looking to isolate your subjects against a plain, single-colour background, you should use an infinity cove. At 4.5m square, our infinity cove is perfect for shooting people and large objects. And if you’re after a different coloured background we have a range of colourama to choose from. We also have the ability to paint the cove to create a large green screen, ready for post production to work their CGI magic. If you want your subjects lit by soft diffused light, we also offer a large daylight area, or alternatively we have a complete flash lighting setup as well as a HMI lighting kit for video production. And if you are looking for amazing photos and video at a reasonable price, then think about hiring our RED digital cinema cameras. 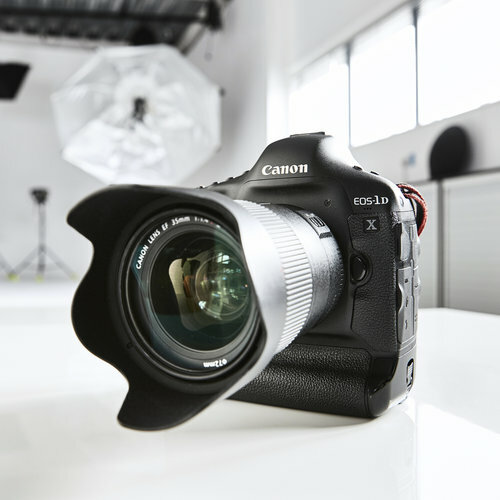 These are professional cameras that give mind-blowing results. Photo and video shoots can be stressful, so whatever studio hire you choose, make sure everyone is kept happy. Choose the location of the studio wisely. If you’re based in Oxford, would you rather drag everyone into London or go to a studio based in Oxfordshire, which is easy to reach and has great parking facilities? Make sure everyone is catered for. We have a dedicated area for make-up artists, wardrobe and an all-important chill out area for those moments when you just need to catch your breath. And most importantly make sure there is cake! You may laugh, but during shoots people often forget to eat and drink, which is why we provide tea, coffee, cold drinks and snacks. And finally, if you are looking for photography services or hiring a videographer, then make sure you choose someone who knows what they’re doing. The last thing you want is to have the right studio, right equipment and still be disappointed with the results. For the last ten years, we have been producing advertising for a range of clients including the Fat Duck, Trevor Sorbie and a number of PR agencies in the Oxfordshire area. We’re all super experienced, enjoy working with a variety of clients, both large and small, and most importantly, love what we do. Corporate Photography Services - Get it Right First Time! Hiring a studio isn’t that complicated, just follow our tips and you’ll get it right first time. And if you’re looking to hire studios which offer a relaxing environment with fantastic onsite facilities and friendly, first rate service, why not give us a call. We’ll be happy to assist.